Anderson, Kim. Live. Save. Spend. 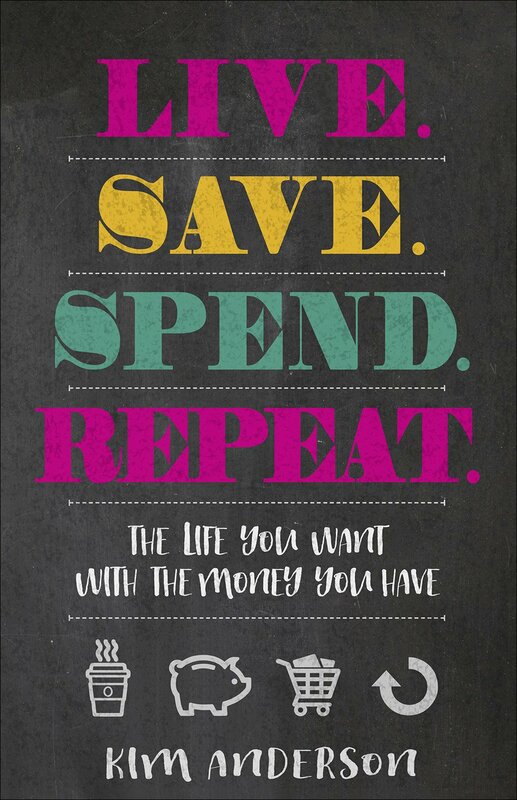 Repeat: The Life You Want With The Money You Have. Eugene, OH: Harvest House Publishers. 2017. Paying off $93,000 in debt in only two years, blog writer and author, Kim Anderson, shares her strategies, skills, tips and results with readers who would like to do the same. Filled with personal stories and testimonies, various scenarios and examples, work pages and a sample budget, Live. Save. Spend. Repeat. provides the necessary information and knowledge to live according to your means while enjoying life. Perfect as an inspiration to keep the financial New Year’s goal, Live. Save. Spend. Repeat. is full of motivation, coaching, ideas, and reminders surrounding a major goal of getting out-from-under with a workable budget, worksheets, options and personal motivators. Well-organized, well-written and well-tried, the approach makes sense and appears to be manageable while yielding possibly life changing results. A good guide for anyone hoping to meet goals, strengthen their financial health, or climb out of debt. 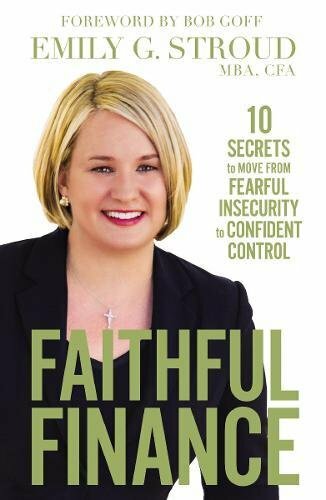 Stroud MBA/ CFA, Emily G. Faithful Finance: 10 Secrets to Move from Fearful Insecurity to Confident Control. Grand Rapids, MI: Zondervan Publishing. 2015, 2018. Everyone struggles financially at some point in life and needs a bit of advice to get back on track. Financial advisor, business woman, entrepreneur and author, Emily Stroud, does just that in her newest book, Faithful Finance, in which she shares 10 smart recommendations to becoming financially fit. She addresses budgets, savings accounts, cash (vs credit), college, retirement and estate planning while also taking into account common feelings such as worry, insecurity, anxiety and despair. Filled with personal stories, budgeting tools, relevant scripture verses, loads of encouragement and total understanding, this book is written in an easy to read, conversational style manner for any income, at any age, in any stage of life. Perfect for popular New Year’s resolution of becoming financially secure, Faithful Finance makes that goal just a bit easier to achieve. Neither daunting nor judgmental, author Emily Stroud is more a friendly partner willing to help with sound guidance and information. Having been in financial stress herself, she is straight forward with her suggestions while truly caring about the outcome. I appreciated the monthly budget sheets, the included resources, and 10 ideas for living life well. Owning her own investment firm, Emily Stroud also shares her contact information should a consultation be welcomed.